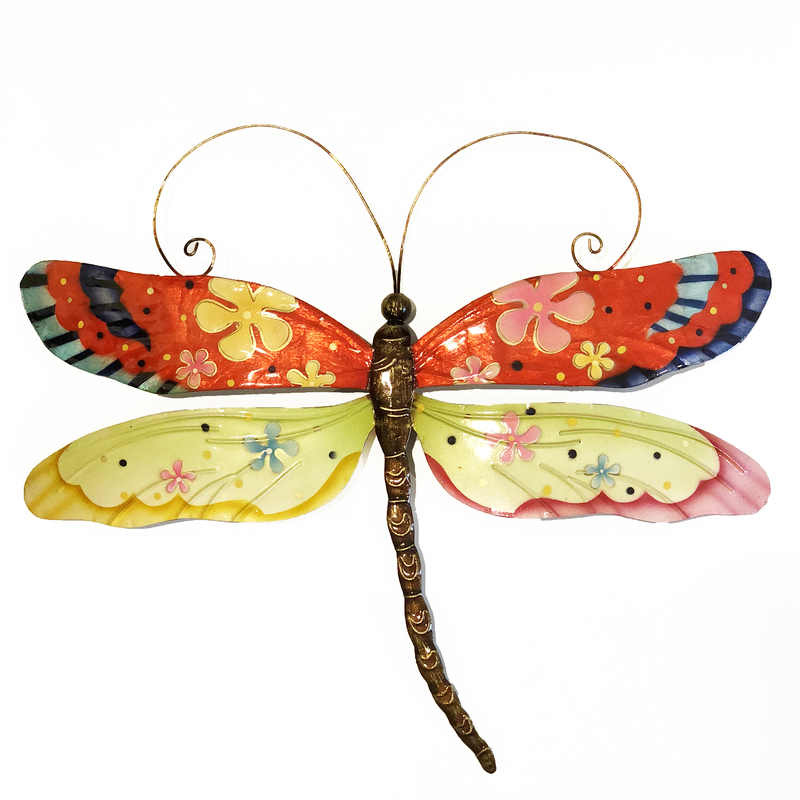 Colorful, fun, and full of cheer, this dragonfly gets its influence from the flower power movement of years past. 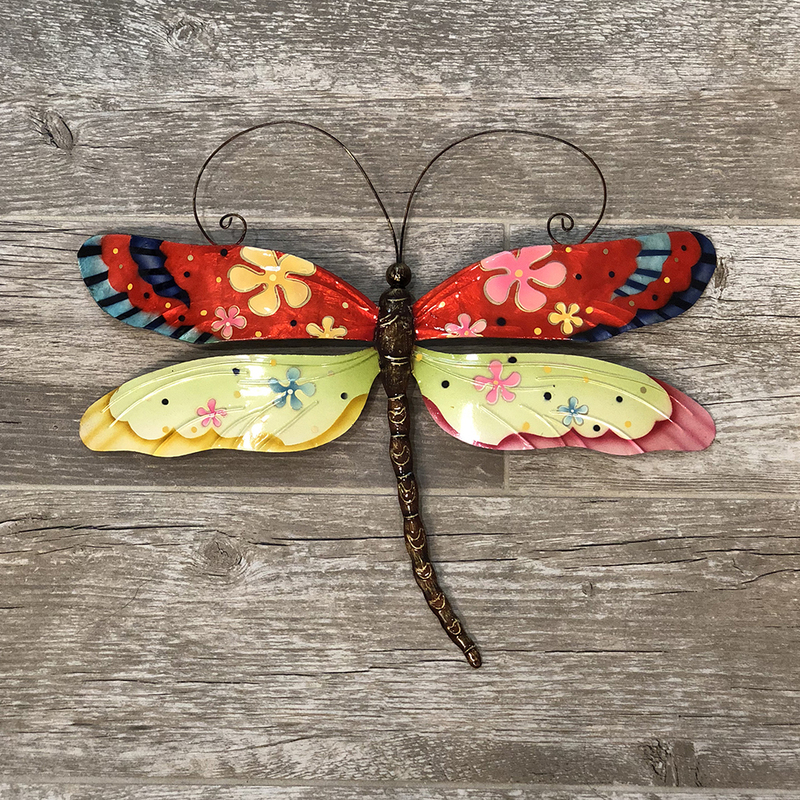 Designed to stand out, this piece adds a powerful pop of color and pizzazz to any space. 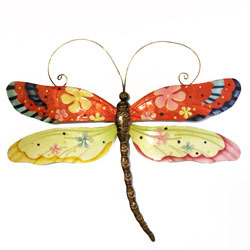 The basic frame of the insect is created using tin, which is powder coated with a black finish. The frame is reinforced using tin wire along the inner edge. Capiz is an oyster shell and the primary purpose of the oyster is as a source of food. However, the by-product, the shell, can be used for decoration. Due to it being a natural material, the natural colors of the capiz come through as tans and browns underneath the paint.